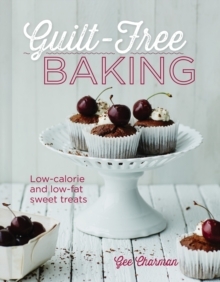 Life's too short to feel guilty about eating cake...Low-fat and low-calorie baking doesn't have to mean filling your cakes with artificial sweeteners or bland low-fat substitutes. Instead, delight in guilt-free goodies that use innovative and healthy ways to add flavour and texture, so you won't feel that all the fun bits have disappeared! 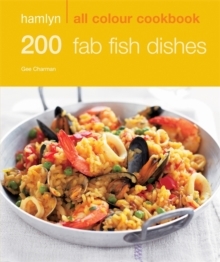 Gee Charman is from the new school of low-fat baking. Focusing on using healthy ingredients with fantastic flavours, as well as good fats that actually help you to lose weight, she gives you cakes and cookies, tarts and tray bakes, and fondants and frostings that you can eat to your heart's content. Rather than filling her bakes with artificial sweeteners or bland low-fat substitutes, she finds ingenious ways to add flavour and texture to low-fat cakes. Try Chocolate Cupcakes, for example, made with a delicious melted dark chocolate and avocado frosting (full of healthy flavanols and essential fatty acids), use tofu to create a soft, creamy Raspberry Ripple Cheesecake, or add rosemary to a low-fat Plum & Almond Tart to make it taste divine. Whether you want to whip up a simple treat for a rainy day, create a show-stopping spread for a party, or enjoy a romantic, indulgent dessert, this book will show you how you can have your cake and eat it!